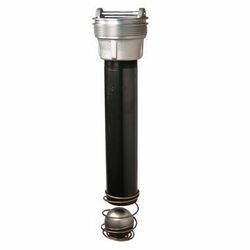 The OPW 53VML Ball Float Vent Valves protrude into underground storage tanks from OPW 233 Series Extractor Fittings at the Stage I vapor return riser pipe or tank vent line. During a product delivery, as the tank level rises, a counterweight stainless steel ball seats on the valve body and restricts flow of vapors back to the transport truck. As the vapors become compressed in the tank (ullage), product flow into the tank is severely restricted. 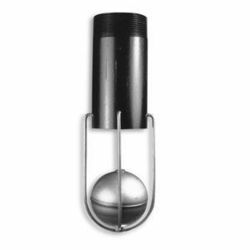 The 53VML Series Ball Float meets the U.S. EPA 90% requirement for product flow restriction into underground storage tanks. 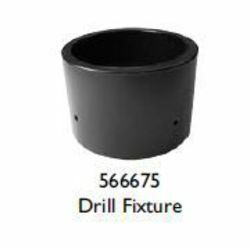 The 53VML-0060 and 53VML-0065 are designed as "back-up" overfill protection for overfill prevention valves, and to minimize product mixing with underground manifold vent lines. 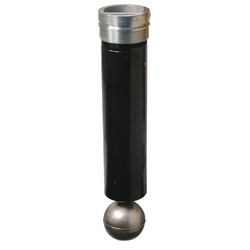 • Stainless Steel Counterweight Ball Float – Corrosion-resistant for a long service life. Counterweight ensures proper seating of the ball for precision “slow-down” of product flow into the tank. • Vapor Flow Orifice - A “bleed” hole machined into the body of the valve, sized to properly “slow-down” the delivery flow rate. • Duragard® Body Coating - Helps prevent rust and corrosion build-up for a smooth seating surface and long service life. • Various Body Lengths - Accommodate virtually any size tank. 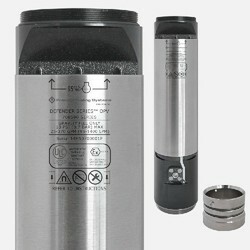 • 2" and 3" Body Sizes – 3" size increases vapor flow to reduce product delivery time. • Easy Installation, Service and Testing - Both 2" and 3" valves install in OPW 233 Series Extractor Fittings and are easily removed for inspection or tank testing with OPW 89 Extractor Wrench. • Compatible with 85% Ethanol (E85) or Methanol (M85). The Emco Wheaton A0075 Ball Float Valves are designed to restrict product flow in the event of a UST overfill. 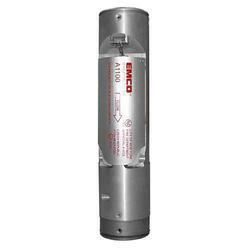 The A0075 meets EPA requirements for a slow down device. 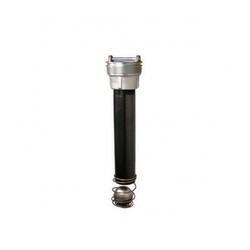 The A0075 Ball Float Valves are available with electroless nickel coating for compatibility with E85 fuels. 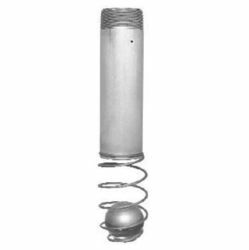 The ball and spring are stainless steel. 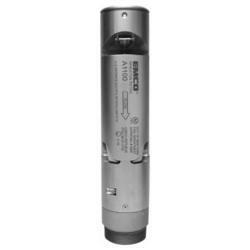 The 37 when used in conjunction with the V421 Vent Valve, protects against overfill of the UST. Signals the tranport driver when the tank is filled to 90% capacity, in accordance with current EPA guidelines. • Protects against overfill of USTs. applications and environmental conditions. Simple to install, service, and test remotely, the Defender Series™ OPV is the industry's most versatile overfill prevention valve. 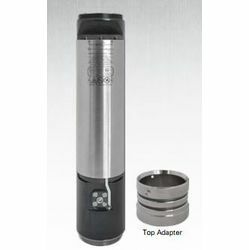 Defender Series™ overfill prevention valve with 5' (1524mm) top drop tube, 8' (2438mm) bottom drop tube. Test (CARB TP201). 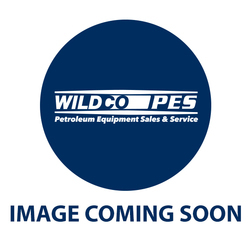 Note: must be used with the Emco A0089-001 Fill Adapter. All standard A1100 variants are acceptable for use with up to E25 ethanol blend gasoline and B20 Biodiesel blends. Higher percentage ethanol or biodiesel require use of the "E" variant.